Do they accurately reflect school quality? The annual rankings of America's colleges and universities, such as those published by U.S. News & World Report, have become a significant force in U.S. higher education. 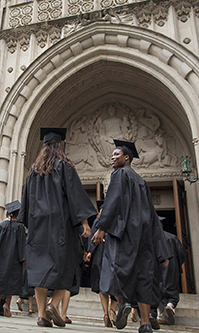 The rankings have been increasingly influential in shaping the reputation of colleges and universities and swaying students’ choices for admission. Being rated a top-tier school can bring an institution more recognition, donations and qualified applicants, while a low ranking can discourage good students from applying. Some lower-ranked schools have tried to game the system to move up in the rankings by changing admissions policies or distorting spending priorities. Critics question the validity of the criteria used to create the rankings and argue that colleges seeking a higher score have been too quick to shape their policies in ways that hurt students. Supporters counter that the rankings provide consumers useful information in an area with few impartial measures of quality.